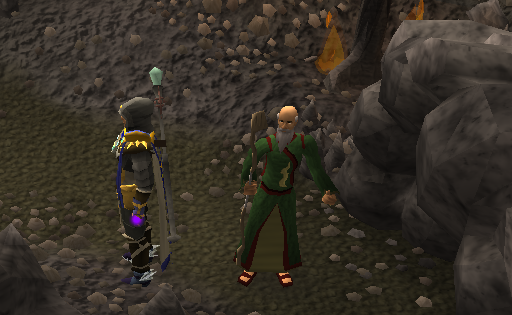 Begin by speaking to the Priest of Guthix outside the cave southwest of the Piscatoris Fishing Colony. To begin, head towards the Piscatoris Fishing Colony, a short while to the south-west you will see an area of burning trees around a cave. If you have started Fairy Tale Part 2, you can quickly get there using code "AKQ" on the Fairy Rings. 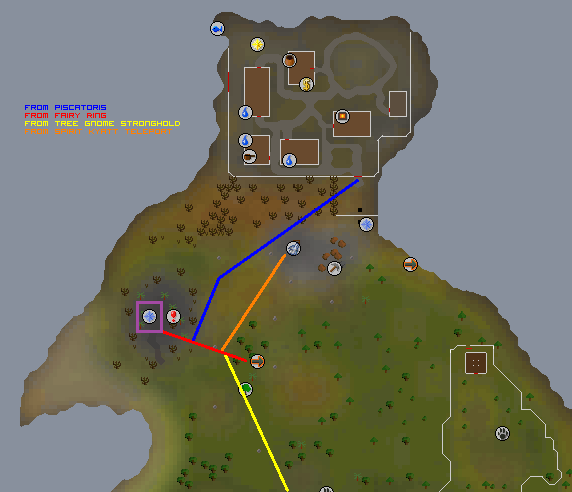 Talk to the Priest Of Guthix who is outside the cave, and if you have the required skills for the quest, you will be asked to help him to rescue the Phoenix. After calming the Priest down, he explains that he has been observing the Phoenix, and that she is dying. In order for her to be reborn a ritual must take place, and a bold adventurer must help her in her hour of need! Conversing with the Priest reveals more details about the ritual. Note: If you are not carrying any of the above items, the Priest will give you one of each. Upon release existed a bug which means that if you are carrying Magic Secateurs, the priest will not give you normal ones, yet you cannot use Magic Secateurs in the cave. When you are ready, enter the cave... there is nothing to kill you in here, all of the warriors are friendly towards you as you are trying to help "save the mistress". Make your way around each level of the cave, harvesting the tree, before finding the gap in the cave in which to enter the next level. All 5 trees can be harvested like the one shown in the screenshot above. 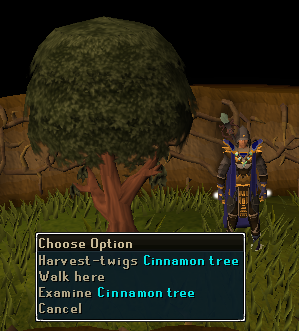 For that reason you will need at least 5 free inventory spaces to hold the twigs you obtain. The entrance to each level is however, always to the south, with the exit near the north side. In order to find the tree, look for a green patch on the minimap, it should be rounded and fairly obvious that it is the tree's area. The levels are only very small so you shouldn't have any trouble finding the trees and moving on. Note: The twigs have to be 'fresh', so you cannot leave the caves and return later for the rest. This shouldn't be a problem as you can complete the quest without receiving a hit of damage! There are 5 levels in total, one for each type of twig. Once you have all 5 twigs, you can enter the sixth room, which contains an Altar (cannot be used for Prayer), as well as a dying Phoenix and its unfinished Pyre. You can read a book at the Altar which gives more information about the Phoenix, but it is not a necessary part in completing the quest. Use your knife with the branches to fletch each into ribbons. 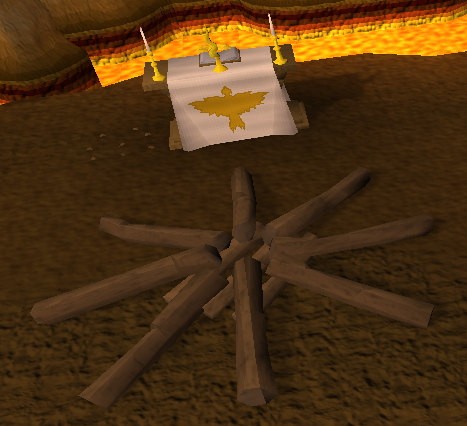 These ribbons can then be used on the Pyre to build it. You only need to use your knife on one set of twigs, and all 5 will be fletched. Once built, you will see the Phoenix walk over to it's 'final' resting place, ready to be reborn. Now you need to light the pyre to complete the ritual. Use your tinderbox with the pyre. If you accidentally use it with the Phoenix, then this message will appear. 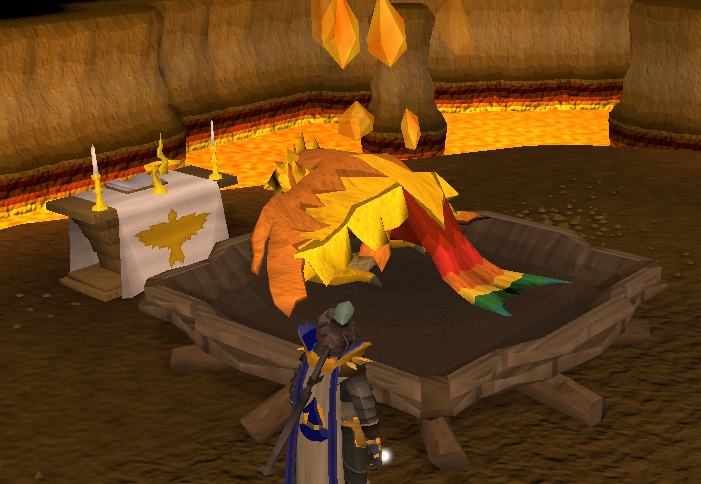 You will see the Phoenix burn on its newly made Pyre, therefore saving it from permanent death! The reborn Phoenix will explain to you all about its plight, and that it has to be constantly killed so that it can maintain its youth. You are informed about the new member to the "Distraction and Diversions" family. 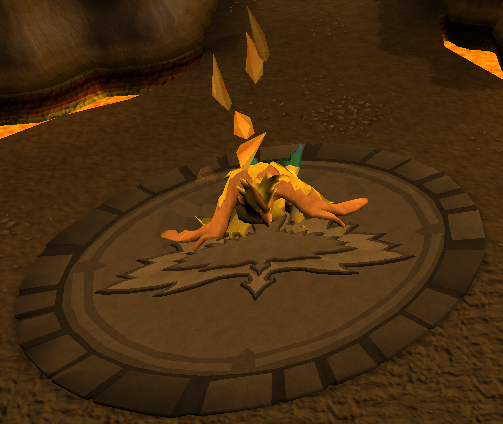 You will also receive 5 Quills, which you are informed can be used to create your own Phoenix pouches! These require a crimson charm and 72 Summoning to create, but do offer 301.8xp upon creation. Head back outside by selecting the escape option on the cave entrance. You will find yourself back outside. Speak to the Priest to complete the quest and collect your rewards. Cute Eggling - results from hatching the egg by clapping. Mean Eggling - results from hatching the egg by kicking it. Each Phoenix has its own distinct personality. 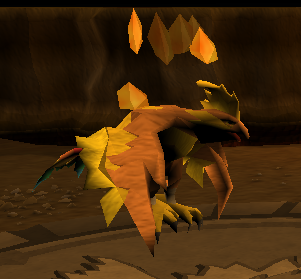 You can have one of each type of Phoenix pet. These familiars are level 124 and attack with magical attacks. At level 72 Summoning, you can make Phoenix Pouches. The secondary ingredient for these is a Phoenix Quill. 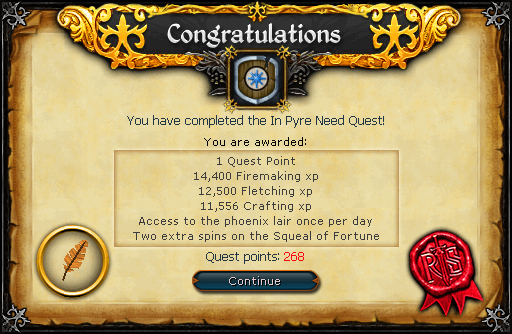 You get 5 of these for completing the quest. These are tradeable, and if you don't have 72 summoning yourself, you can sell them to other players. 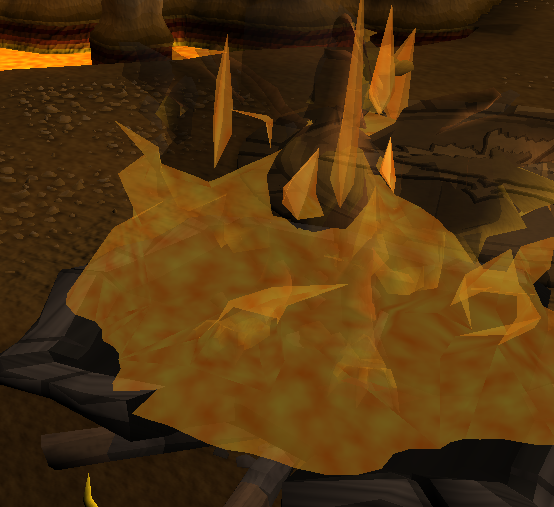 After completion, you can re-enter the cave once per day, battle the Phoenix and build a pyre as before. The big difference however is that the cave's warriors won't let you through so easily this time! Good luck with this part of "Distractions & Diversions"
[^] When with the Phoenix, cut each twig into ribbons.